Math.com is a great resource for students. 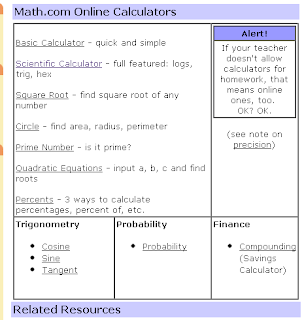 One of the pages on the site that I use and share is the page with Online Calculators. 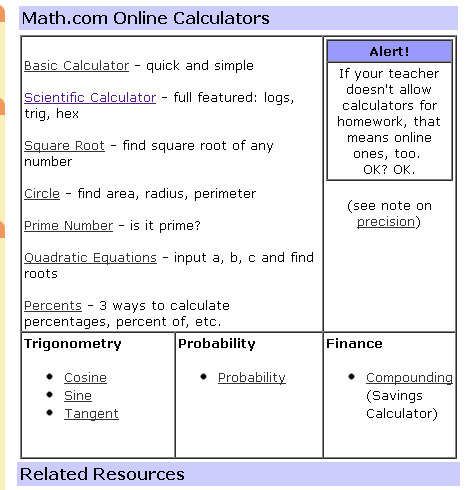 This page has a basic calculator, scientific calculator, prime number check, square root check, quadratic equation solver and more. It's great for my physics students to use to help them solve the physics problems.